Jackie McGee and Charlie Womble started dancing the Carolina Shag in 1980 and have competed and taught the dance since that time. Jackie McGee is a ten-time Overall National Shag Dance Champion, and her husband Charlie Womble is a nine-time Overall National Shag Dance Champion. In 1989 they introduced the Carolina Shag to the U.S. Open and started teaching Shag workshops across the country. They became the first Shag instructors to be endorsed by the SOS organization, and are still actively teaching locally and across the country. 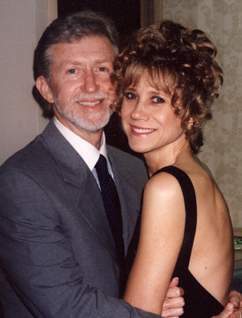 Charlie and Jackie are the founders and directors of the USA Grand National Dance Championship (founded in January 1994, with the first event in May 1995.) They have served on the Competitive Shaggers Board of Directors; hosted local charity and fund raising dance competitions in Atlanta, GA and Myrtle Beach, SC; and created fourteen instructional videos, many of which are donated to fund raising events and charities. A trophy in their likeness, called the “Charlie and Jackie Trophy” was created by the National Shag Dance Championship to be presented to its “Overall Champions” in March of each year.